This insight sparked FrontlineSMS to create sector-specific projects focused on credit, education, radio, and legal services. FrontlineSMS’s modular approach allows the core team to focus on business operations and developing a lean, user-friendly, and adaptable base platform, while the sector-specific products have the ability to engage a niche user base and create sector-specific relationships and partnerships that a general product would not attract. Each division is experimenting with new features and strategies for applying the software to industry-specific challenges. For instance, FrontlineSMS:Credit has launched a new payment system configured with Kenya’s M-Pesa that allows microfinance organizations to use mobile money to manage short-term credit. FrontlineSMS:Radio, the organization’s most recent division, is testing polling features that support community radio stations in Africa. Sector-specific products are an on-going experiment at FrontlineSMS, and the team continues to weigh their risks and benefits. If unsuccessful, a separate division could deplete precious operating capital and human resources from the core organization. Thus far, the niche products have successfully created active communities of users who ask questions, report bugs, and request new features through vibrant online forums. This insight into user needs and behaviors directly boosts FrontlineSMS’s software development capabilities. “Having closer relationships with users has been immensely helpful for us to learn about their habits and behaviors, and how to improve the user experience down the line,” said McDonald. “It accelerates our feedback loop substantially.” As a result of understanding the needs of community health workers like Verona, FrontlineSMS: Medic developed a new plugin called PatientView, which allows for patient records to be managed in the field via SMS. With a suite of sector-specific products as well as a newly revamped base platform, FrontlineSMS’s ever-present challenge is deciding where to experiment next and how to balance the demand for a wide range of sector-specific features with the need to continually improve—but not overcomplicate—a robust, customizable product. 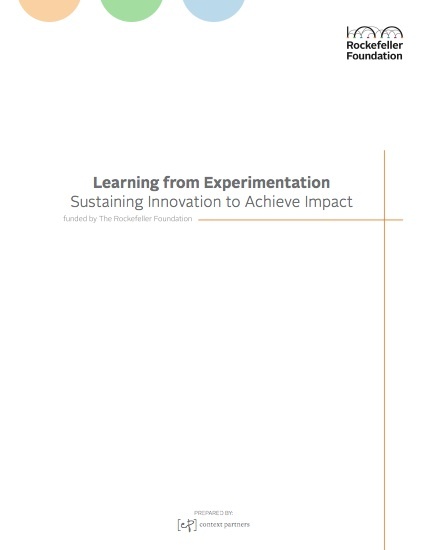 Read the full report and others on the Capacity to Innovate website.